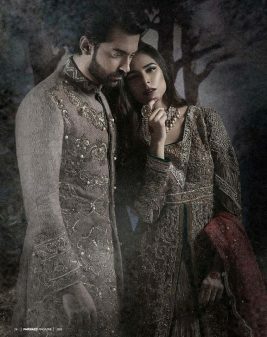 Talking about the wedding season. 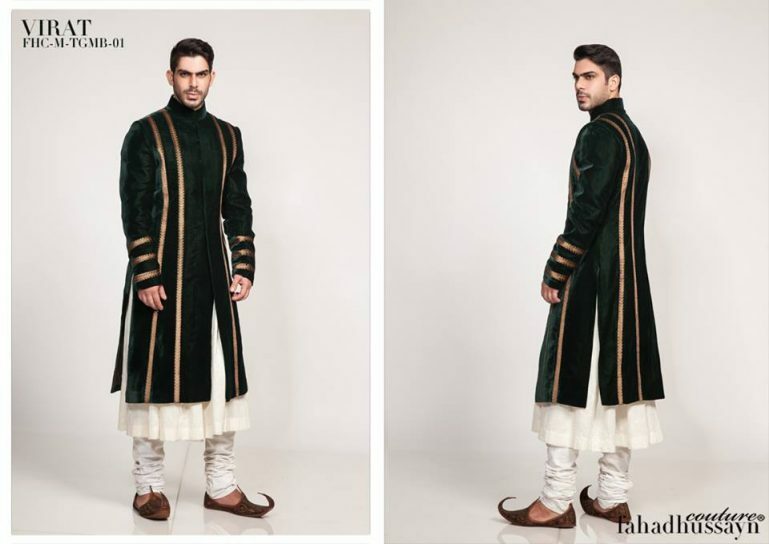 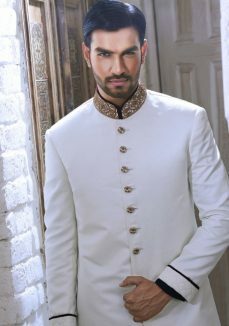 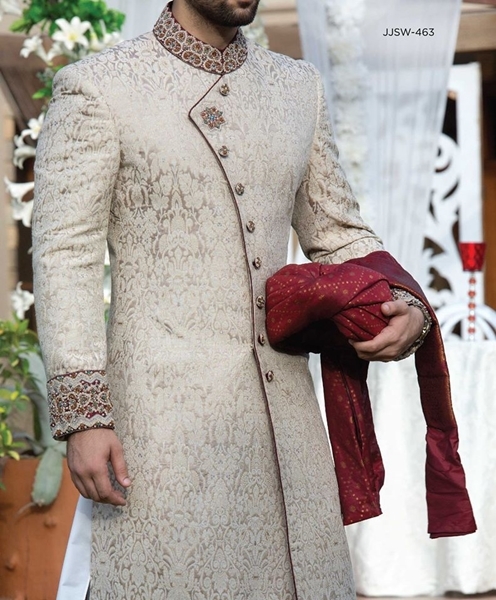 One cannot simply refrain himself from thinking about the latest trends of Sherwani for menswear. 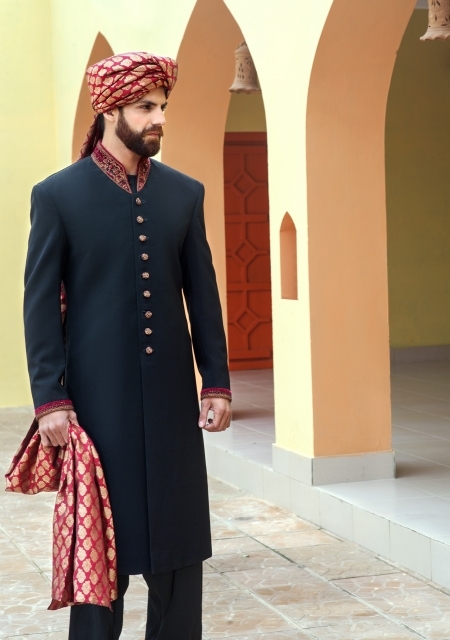 Especially for grooms. 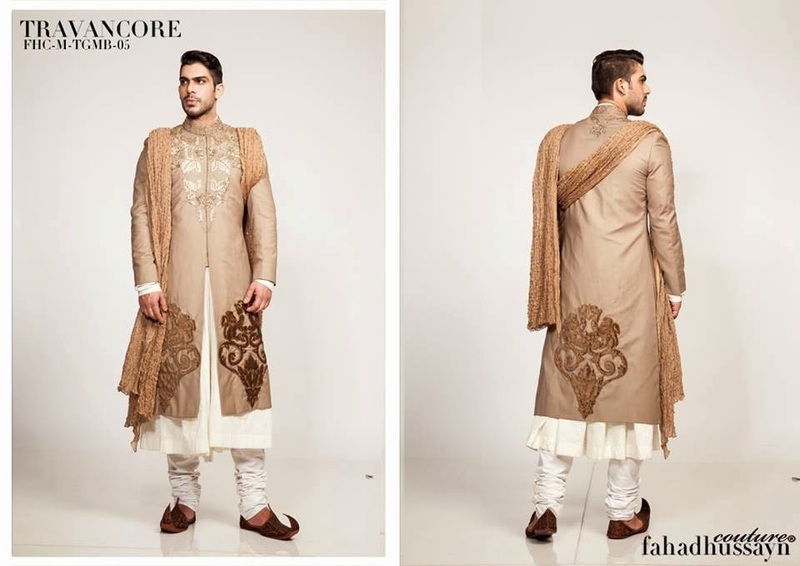 It gets hard to decide for the brand, suitable designs, and latest style in fashion. 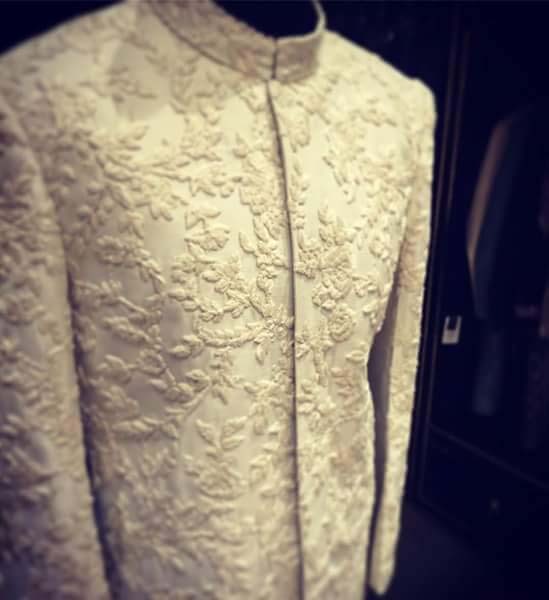 Well to start with, the designer label holds the most of the significance, the better the designer the most exclusive collection it will be. 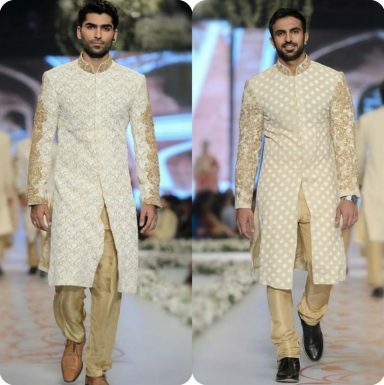 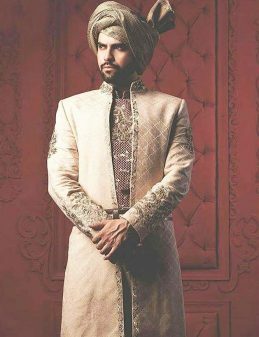 Keeping that particular idea in mind, Stylesgap today has brought you a fascinating range of latest mens wedding sherwani trends by Pakistani popular fashion designers. 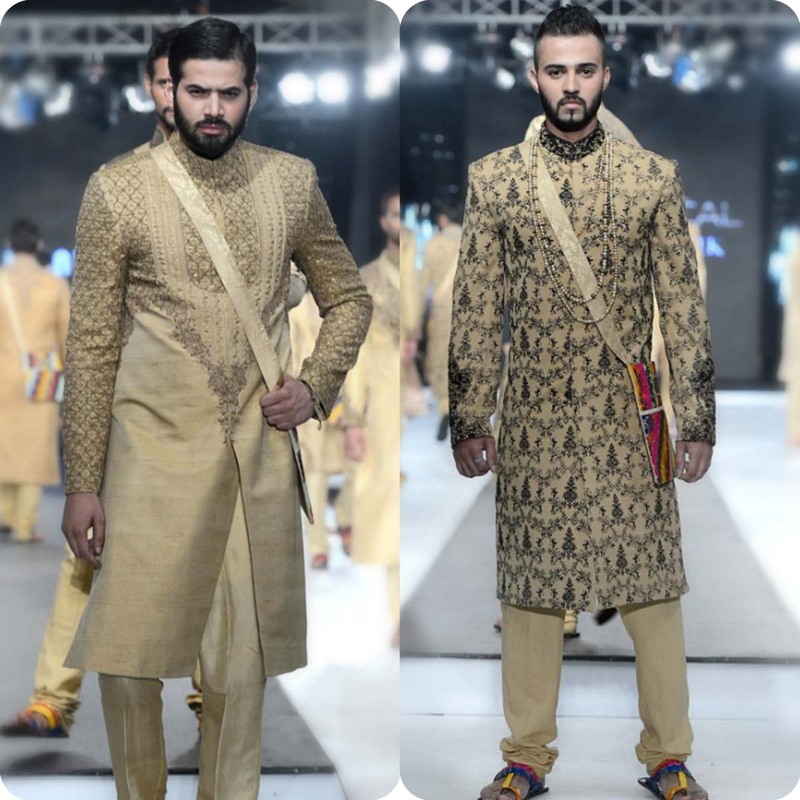 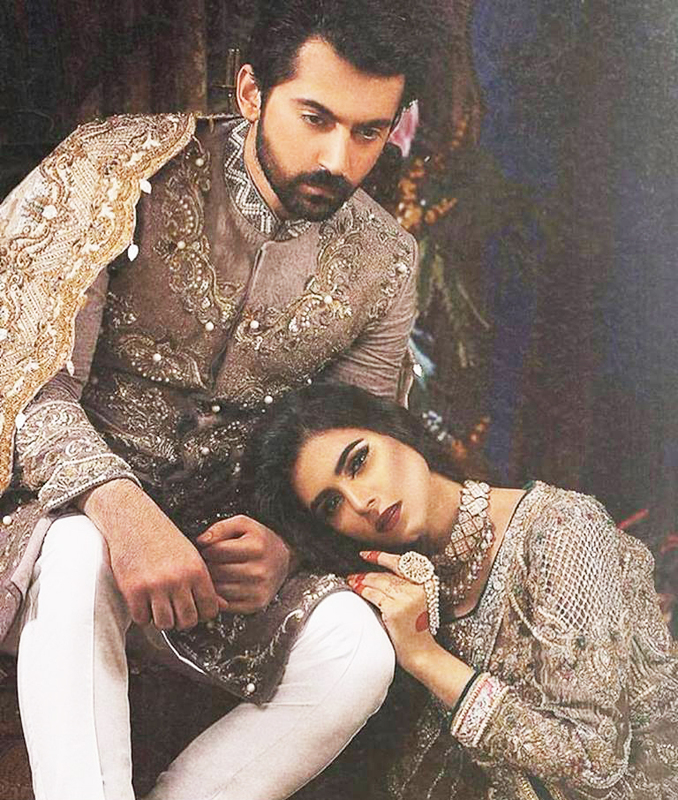 These Sherwanis are crafted under the eminent clothing labels in Pakistan. 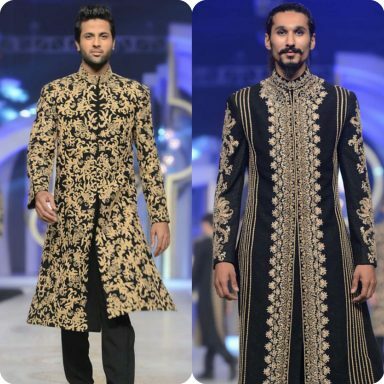 This fashion insight is covering the latest Sherwani collections from all the heartthrobs of Pakistan’s fashion industry including HSY, Deepak Perwani, J., Amir Adnan and others. 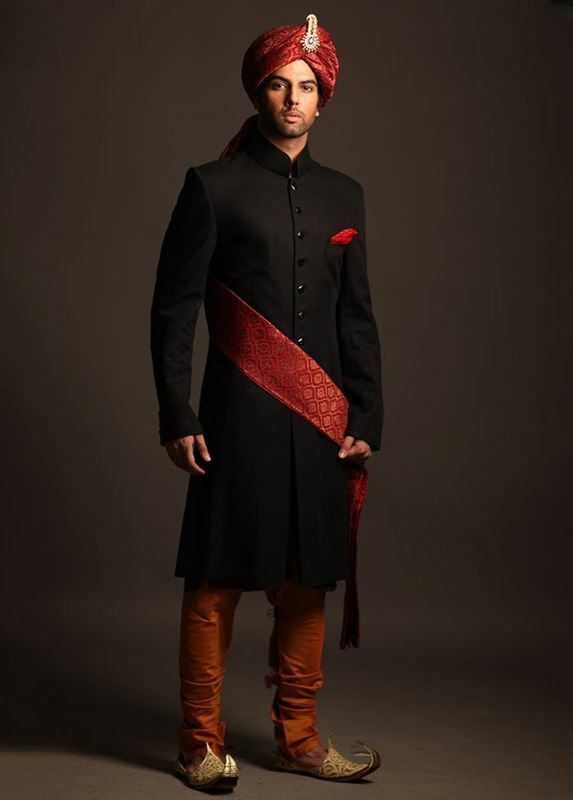 Their mesmerizing designs will open the world full of options for you. 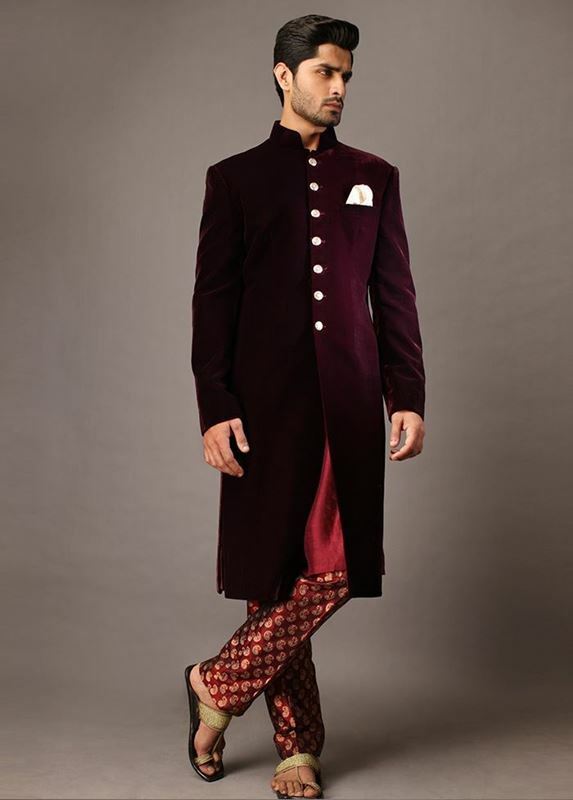 Let’s have a glance at the recent showcase of colors in style. Here we are discussing the latest mens wedding sherwani collection by Pakistan’s most popular designers. 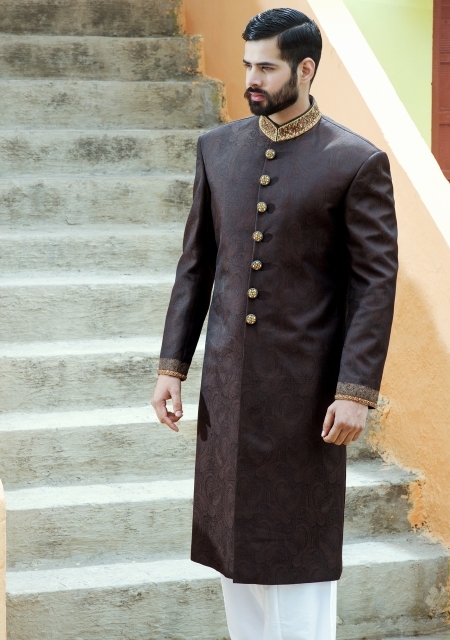 It includes plain designs, cutwork, embroidered, printed and ethnic ones. 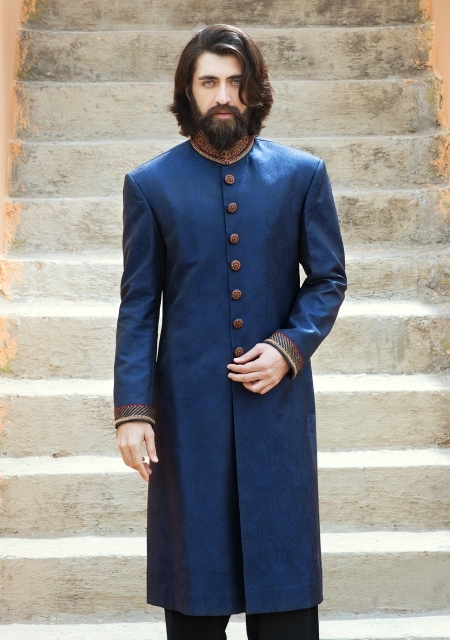 Have a look at these favorite collections and get inspired. One of the most conspicuous features of HSY’s collections is the use of soft and low tone hues. 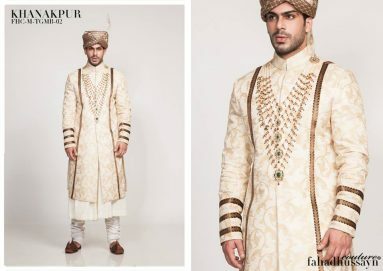 Such taste is evidently visible in this latest collection where off white is infused with gold and tint of dull ivory work. 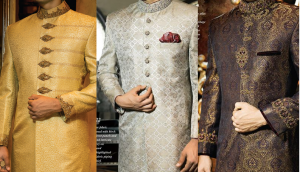 The entire collection is a mixture of dark and light, dull and bright. 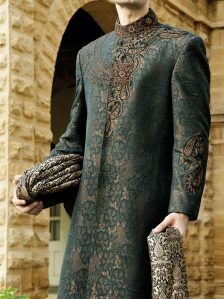 One hand you can see, dark black sherwanis embellished with golden and silver work on the shoulder, neckline, and front. 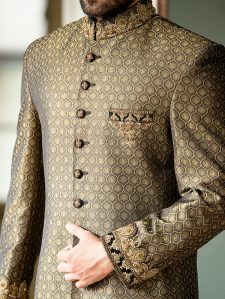 Whereas on the other, light brown or white are kept in the preference with the elegant piece of embroidery over the Jamawar fabric. 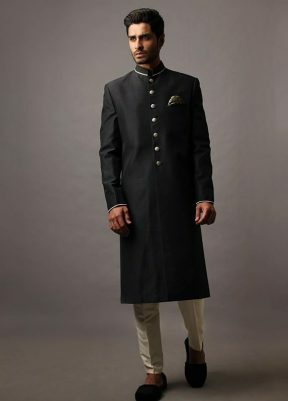 As far as menswear is considered. Deepak Perwani always remains at the top of the list with his ultra-unique designs full of rich traditional outlook. 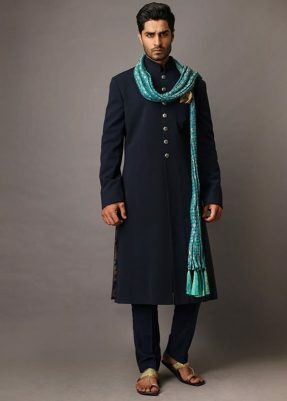 His latest Sherwani speaks the volume about that taste. 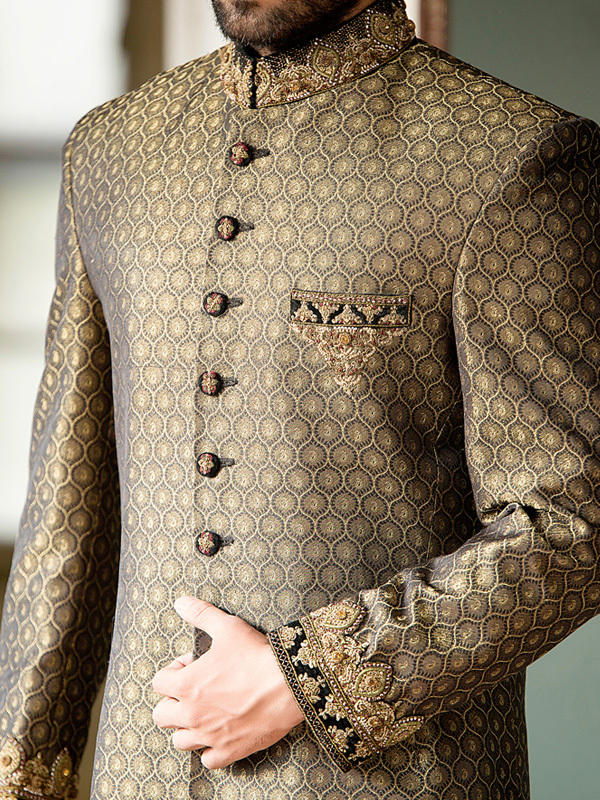 Intricately woven patterns in golden over black, blue or off white Jamawar look amazing. The collection comprises of both the monochrome series of sherwanis and also the dichromic versions in which white is paired with maroon, red and brown whereas black with rust or shades of crimson. J. Junaid Jamshed is the style emblem of the industry. It has gained a center stage for men wears, and a lot of people opt it for all sorts of formal wears specially for their wedding couture. 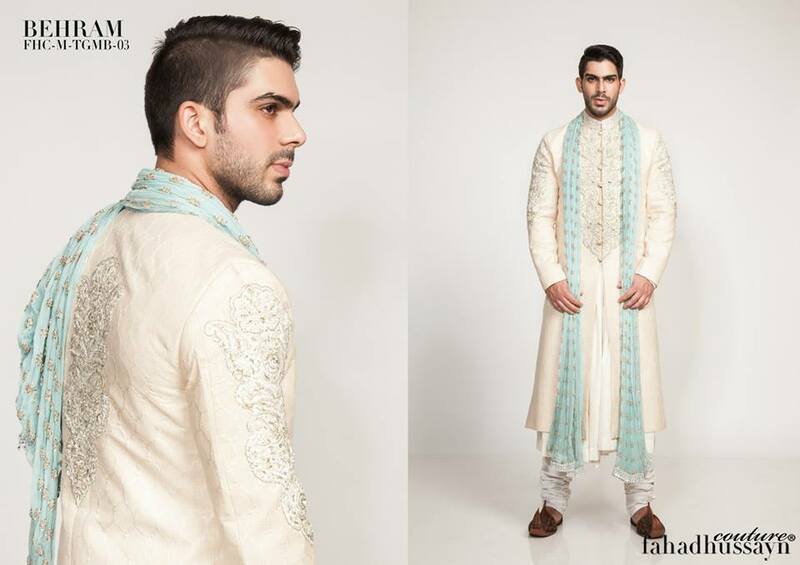 The latest Sherwani collection by J. is again full of its charms of decency. Unlike before this one is even more exquisite in the selection of the color palette, choice of the fabrics and motifs of sparkling adornments. 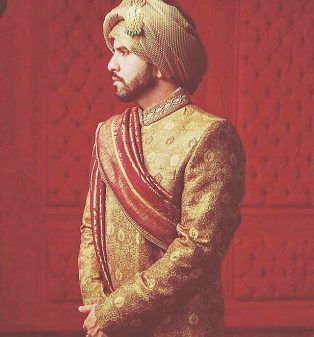 Fahad Hussayn is one of the latest mens wedding sherwani designers of Pakistan. Its recent assortment is also an extravagant fashion treat for all the men out there. 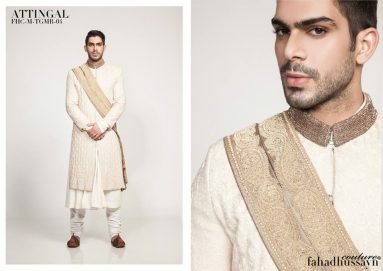 It is a mixture of bright and refreshing hues which are beautiful embellished with traditional delicate embroidery work. Which is covering the fronts of the Sherwani. 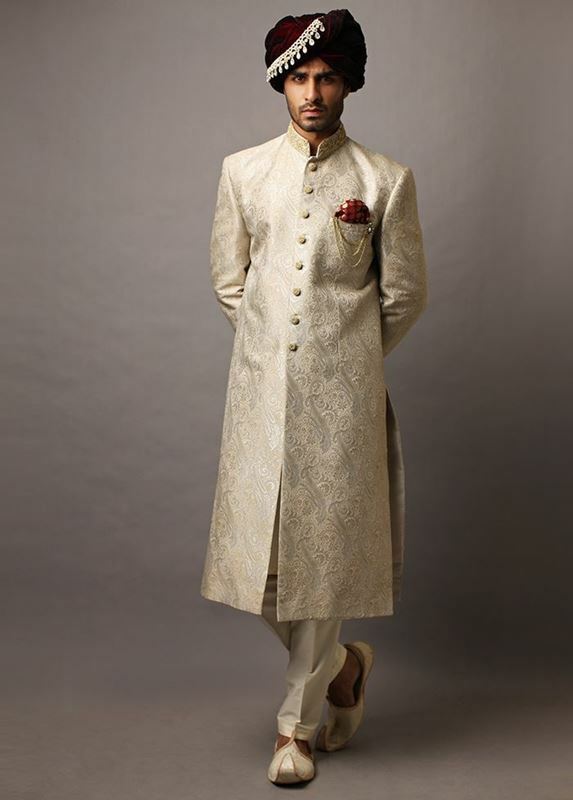 The colors of light brown, faun and off white gives the soft outlook to the grooms for the special day. 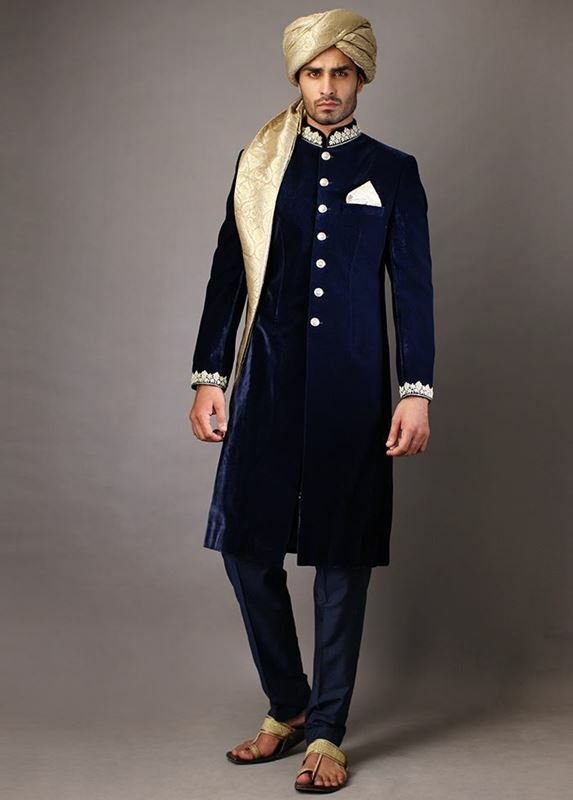 This collection is completely regal and royal in its essence. 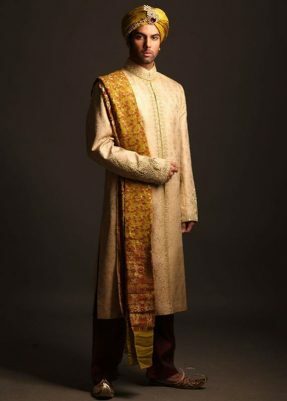 Once you gaze upon it. It will take you back to the Mughal’s era. 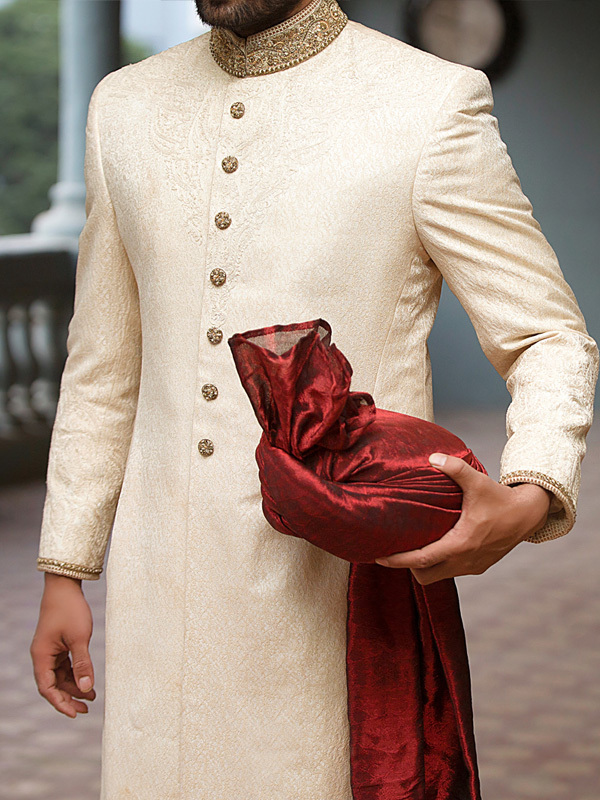 Its shahi outlook makes it a must have for the wedding season. The Sherwani in graphite silver is the most amazing piece of its collection. 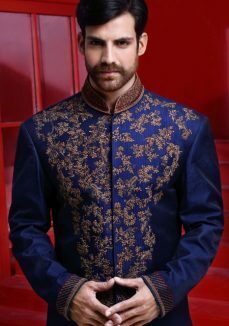 It is embellished with heavy work in cut all over the Sherwani. The level of sophistication is taken to the whole new level with this latest Sherwani collection. Amir Adnan chose the perfect blend of modern with traditional. 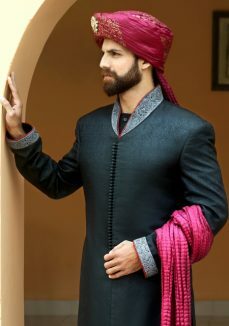 The use of fabric and colors is quite trendy. 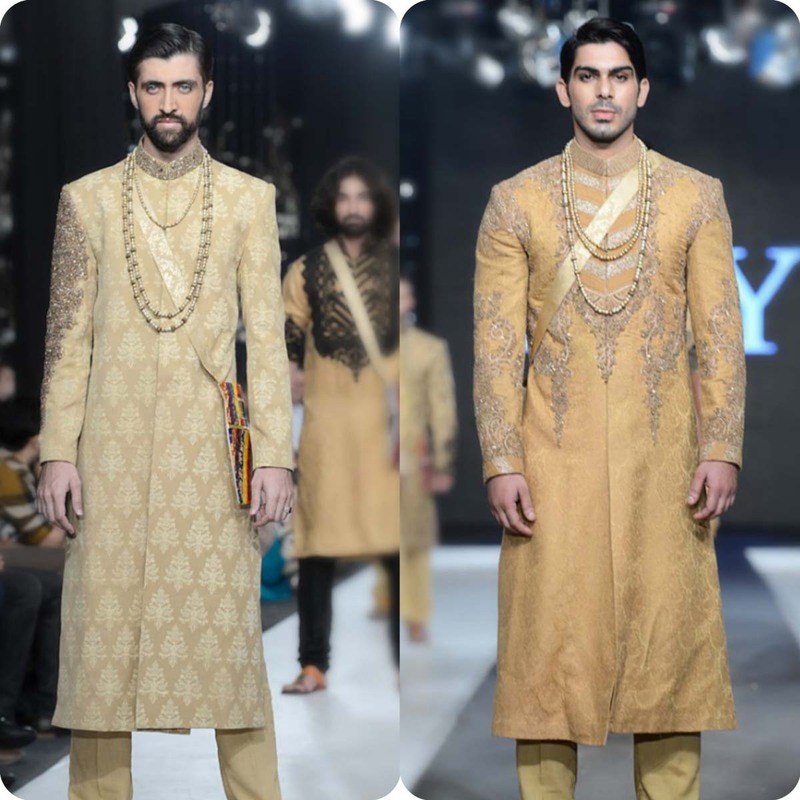 Whereas the work these sherwanis carry is completely classic.